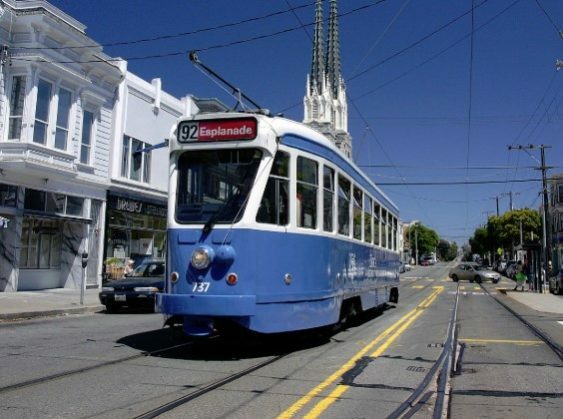 *Free rides from museum at 77 Steuart Street on certain vehicles will be operating from 1 PM to 5 PM between the museum and Pier 39.. 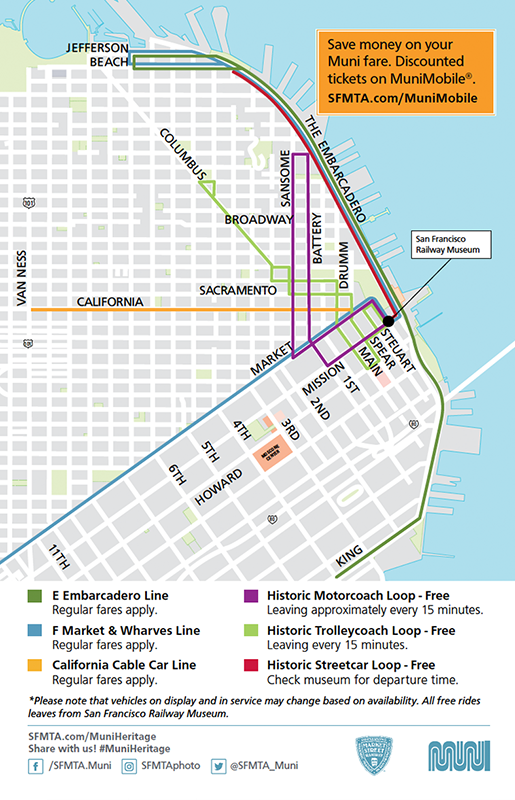 Regular fare applies to all other Muni, Streetcar and Cable Car rides. 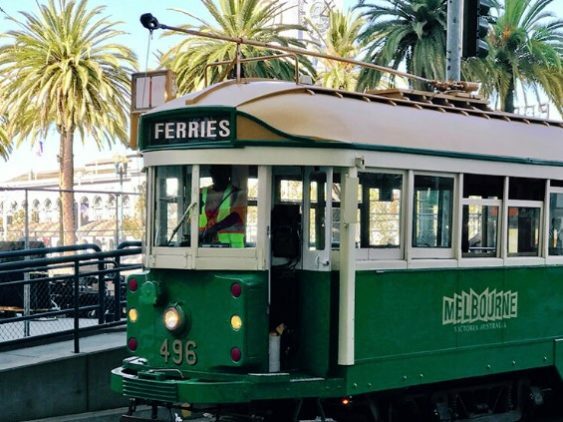 Enjoy a weekend of free rides along the waterfront on rare streetcars and buses as old as 1896. 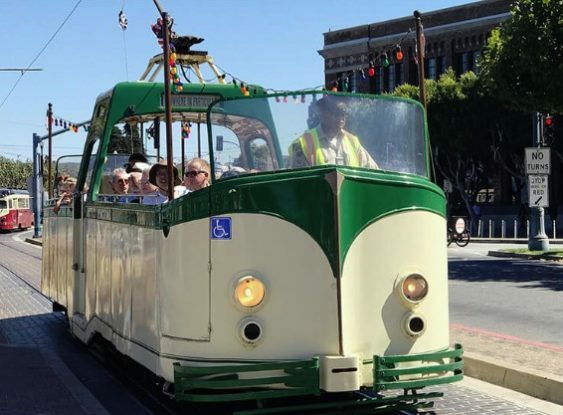 San Francisco transit history comes back to life at this annual, weekend-long blast from the past dating back to the 19th century. 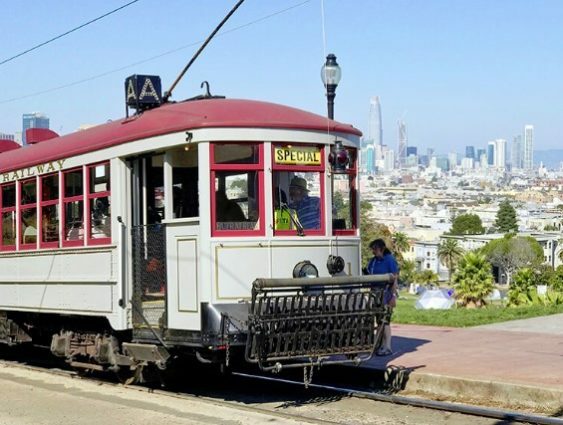 During Muni Heritage Weekend, visitors will be able to ride and view historic streetcars, cable cars and buses that are rarely seen on city streets. Cable Call Bell-Ringing Demonstration: Saturday at noon, they’ll hold a cable car bell-ringing demonstration by all-time champ Carl Payne. 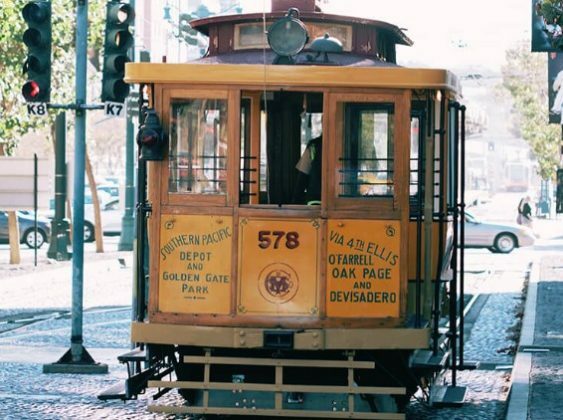 Carl will also offer instruction to kids of all ages, who can take a turn on the bell of motorized cable car 62, which will be on display in the plaza across the F-line tracks from the museum. 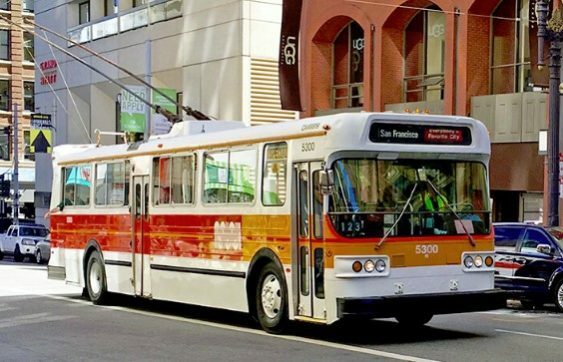 These vehicles will be operating from 1 pm to 5 pm between 77 Steuart St. (just across from Ferry Building) and Pier 39. Circa 1896: the oldest streetcar operated by a transit agency in America today. In 1912, this streetcar became the first publicly owned streetcar in America. These vehicles will be operating in regular service for Heritage Weekend. Circa 1952, it’ll be running on the F line. Regular muni fares apply. These cars from 1928 and 1946 will be running on the E line (from the ballpark to Fisherman’s Wharf). Regular muni fares apply. 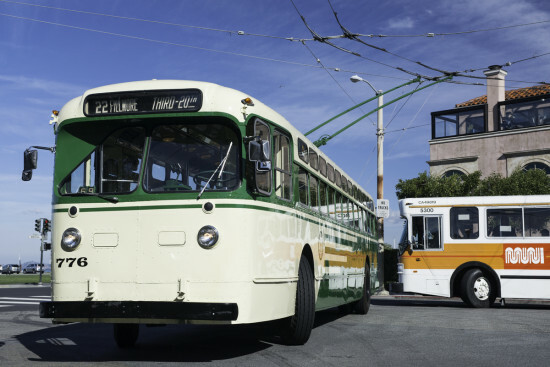 Vintage buses that were built for San Francisco in 1950 and 1975 will be operating between the Building and Washington Square Park. Free rides if picked up from the Railway Museum. Motor coaches that were built for San Francisco between 1938 and 1975 will be operating on the old 82x line between Levi Plaza and Caltrain. Free rides if picked up from the Railway Museum.